Frank Novak was born on April 5, 1865 in Webster County, Iowa. He ran a mercantile store in Walford Ohio. He suffered some “financial reverses” (actually a gambling addiction) and put the business in debt. So, in frustration he took out a $30,000 life and accident insurance policy on himself. Then, on February 2, 1897 lured his friend Edward Murray to the store, crushed his skull, robbed him and then burned the store over him to cover the crime. He fled the scene, I found some evidence that Novak’s wife, Mary had claimed that he died in the fire, thus claiming the life insurance. But insurance companies are not so easily fooled. He was pursued for six months across the continent and to Alaska by Detective C.C. Perrin of Chicago or Denver. In total they traveled 26,000 miles back and forth across the continent. Finally in Washington, Perrin discovered that Novak had taken the steamer Al-Ki at Port Townsend on February 23 to Juneau. Perrin took the steamer Mexico on May 24 to Skagway. 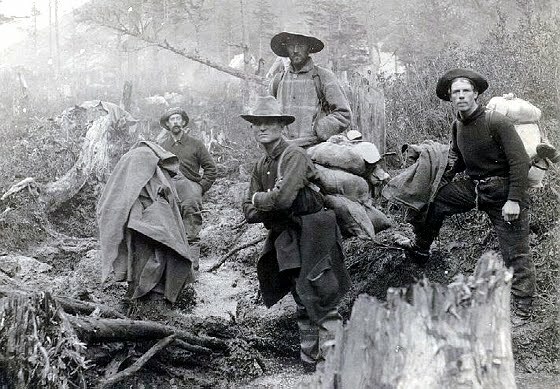 Both men had to secure provisions to cross the Chilkoot Pass. Detective Perrin spent many days on the Chilkoot Pass looking for Novak. He then briefly saw him as his boat passed Novak’s boat on Lake Bennet. He followed Novak to Dawson where he got a warrant from the Canadians to arrest him and take him back to Ohio for trial. Novak was claiming that his name was J.A. Smith. But when Captain Constantine compared the dental records (possibly dentures) of Novak with his dentists records from Ohio, the Mounties decided that they had their man! On the way back through St Michael, Novak told Perrin that back in Iowa, he kept a bottle of whiskey impregnated with morphine in the store and found Murray drinking it. Later during the fire he tried to rescue him but was unable to (perhaps because he had first bashed in his skull). Such a story! Perrin was not swayed and succeeded in bringing the murderer back to Iowa for trial. In November 1897 he was brought back, tried, and convicted of second degree murder and put in the Anamosa prison in Ohio. A second trial by the Supreme Court upheld the lower court decision. 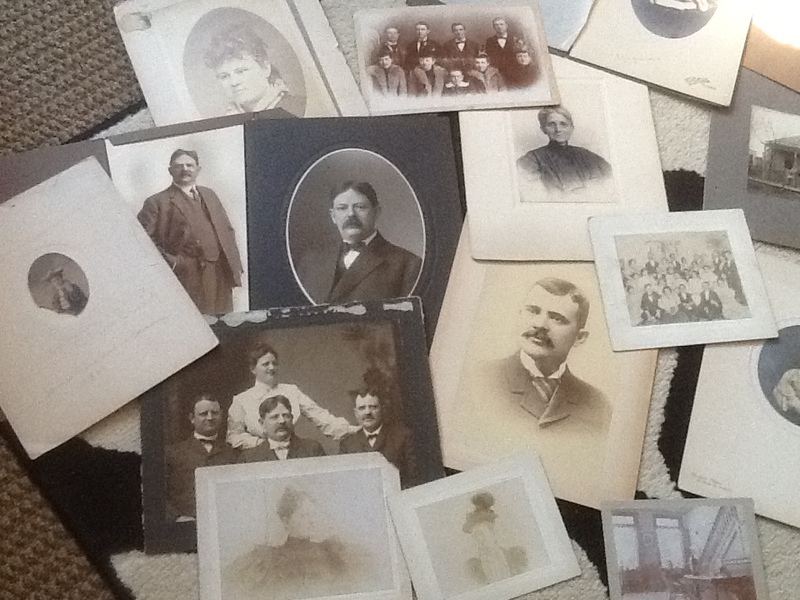 By 1903 he was involved in photography and was on the prison band being a model prisoner and his friends petitioned the Governor for clemency. Not sure if that happened as he was serving a life sentence. He died in Chicago on July 12, 1930 but was brought back home to be buried in Cedar Rapids, Iowa, a few miles from the scene of the crime in Walford. The Carroll Herald, April 1, 1903. The Baltimore Underwriter October 1897. Two Years in the Klondike and the Alaskan Gold Fields by Haskell. This ad is from the Los Angeles Herald of February 1898. I wonder how many gold rushers wore one on the trail! This picture in the book “Grit, Grief and Gold” does not say where or when it was taken but purports to be Soapy maybe on the trail with a folding table. Happy birthday, December 19, 1859 or 1861, to Dr. Hornsby, surgeon for the White Pass Railroad, editor of the Daily Alaskan and member of Skagway City Council. Unfortunately he was also a friend and likely co-conspirator with Soapy. In the coroners report for Ella Wilson, the black woman who was murdered by strangulation in her bed, Hornsby’s report said the death was “unintentional” and the case was forgotten in all the excitement of the day. He also apparently failed to publish an account of the Stewart robbery, no doubt at Soapy’s request. After the death of Soapy, the town “rounded up” various supporters and associates. To quote Hornsby: “I was sent out of Skagway in a most arbitrary manner. The United States Commission said there were no charges against me, but that he had no power to combat the citizens’ committee that had put me on the boat at the point of loaded Winchesters.” In any event, he left and went to Eagle and then back to Chicago where he became superintendent of a hospital, then on to Washington D.C. where all good scoundrels end up. He appears to have died in 1939 at the age of 80. Seen above are the 10 members and friends of Soapy that were rounded up. I don’t know which one is Dr. Hornsby, but I would guess it is the guy in the center saying to toss your eggs carefully (this doctored photo was used in 2008 for our Egg-Toss). 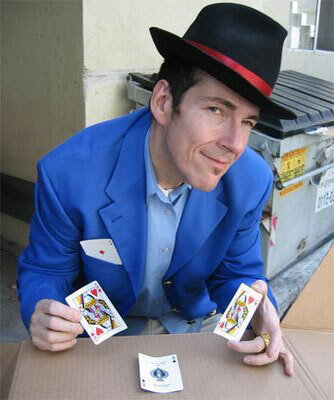 John Foley was a well known card shark (three-card-monte) during those tumultuous days in 1898. In the spring of 1898 the Spanish conflict aroused the patriotism in “Colonel” Soapy Smith to the point that he decided to recruit a company of soldiers in Skagway such as Teddy Roosevelt’s Rough Riders. Such became legal under authorization of the Volunteer Bill of April 23, 1898. The bill as presented by President William McKinley provided for the First Volunteer Cavalry Regiment – The Rough Riders – as a result of the sinking of the battleship Maine in Havana harbor on February 15, 1898 with the loss of 260 of her crew. President McKinley called for 125,000 volunteers from the seven Western states and territories, a figure that was soon raised to 267,000. Three regiments were to be raised in the West, the first in the four territories, which included Alaska, the second in Wyoming and the third in the Dakotas. Soapy organzied Company A, 1st Regiment of National Guard of Alaska and elected himself as Captain and John Foley as 1st Lieutenant. The next time he shows up in history is that on this day, September 13, 1913 he got married in Alaska. 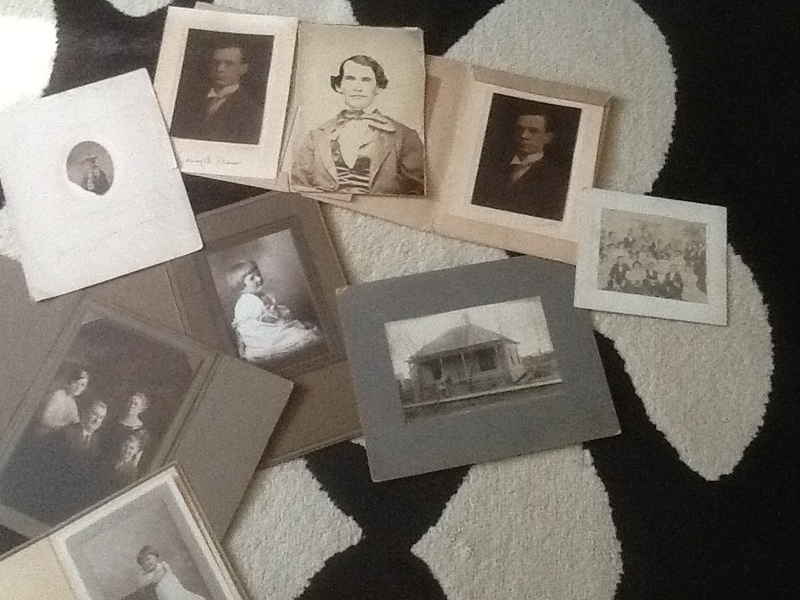 The Sundeen family came to Skagway in 1898. Matthew was a master mariner and had a steamship business as well as being a quartz miner. His wife Ida ran the Pearson and Sundeen laundry. Matthew was born in 1866 in Sweden and married Ida Louella Crosier in Oregon in 1892. They had three daughters, Carrie, Lucille Loraine and Etta who was born here in Skagway in 1903. Mrs. Sundeen died in 1914 at the age of 38 in Portland but Matthew stayed in Skagway for many years and died on this day, September 9, 1941 and is buried in the Pioneer Cemetery. Just prior to his death in 1941, Sundeen wrote an article that appeared in The Fairbanks Daily News. 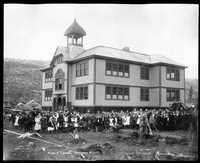 Back in 1898, Sundeen said he was in the hardware store opposite the Juneau Wharf and had been first on the scene when he looked out to see Smith and his gang confront Tanner and the boys. He remembers Reid’s revolver failing to fire three times, as Smith fired four shots into the surveyor. Then he watched Jesse Murphy struggle with Smith, trying to wrestle the Winchester away from him before he killed anyone else. In the process, Smith shot and killed himself. Well, enough people had remembered seeing Reid kill Soapy through the years to put into question one old miner’s 43-year-old memory. Sundeen claimed no one else but him, Smith, Reid, Tanner, Murphy and Landers were on the wharf approach when the killing occurred. Further he claimed that Tanner, Murphy and Landers all agreed to lie to the officials to let Reid think he’d died a hero. Who knows, the story has a certain amount of credibility. I have tried to find record of what became of Jesse Murphy, but with such a common name, he disappeared after 1898. 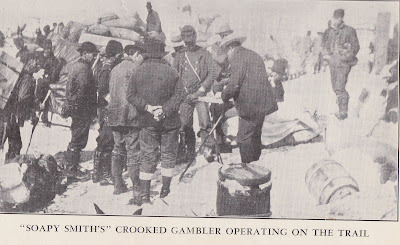 Certainly White Pass who employed Jesse Murphy had much to gain from the end of all the lawlessness in Skagway. Here is picture of the schoolkids in 1906 in front of the school, no doubt Carrie, Lucile and maybe even Etta are here. censuses; familysearch; Fairbanks Daily News. One Hundred and twelve years ago in Skagway, the townspeople awoke to hear that Jefferson Randolf Smith who was born in 1860 in Noonan Georgia and created a bit of a ruckus here in Skagway with his business associates, died on the evening of July 8, 1898 in a shootout with that hothead Frank Reid, or maybe it was Jesse Murphy, an employee of White Pass. 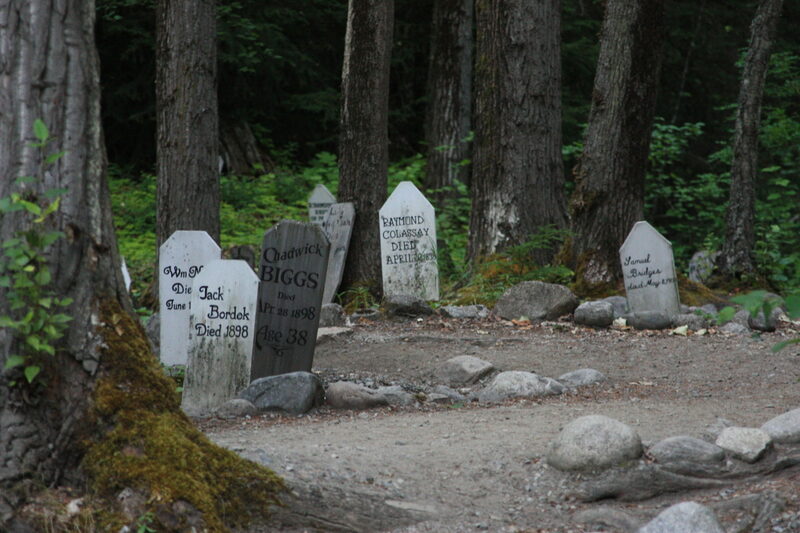 On July 9, 1898 here in Skagway, the right Reverend Sinclair arranged the funeral for Soapy and buried him in the Gold Rush Cemetery. 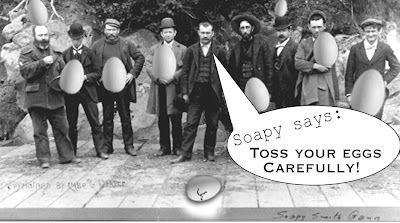 The townsfolk spent the rest of the day beating the bushes to round up the “Soapy gang” and invited them to leave. Although some were arrested, and a couple ended up in prison, few served very much jail time, for lack of evidence or witnesses. There was a festive and excited atmosphere in Skagway on that day, followed by 112 years of boredom. Some will dispute that characterization, but it is true that shootouts seldom occur on the streets anymore although “fancy girls” hang out the windows and gold merchants line the streets. Happy Birthday to Mr. Fielding, said to be one of Soapy’s cronies. He was born on this day April 26,1880 perhaps in Brighton, England. He was “captured” (after Soapy was killed) at Sheep Camp on the Chilkoot Trail and hauled back to Skagway. He must have decided to stay in Juneau after that because he shows up in the World War One draft registration there. Here is a photo of some guys at Sheep Camp trying to hide Fielding under a pile of coats. Perhaps Jeff Smith has a photo of him?